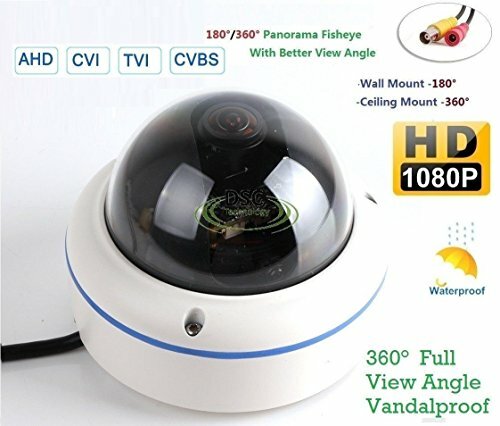 2.4 Megapixel (1080P) Indoor/outdoor HD Dome Surveillance Camera High Definition over Analog Cable! 360 degree wide view horizontal, 180 degree vertical. Professional fisheye lens, 360degree wide view angle, no blind-spot panoramic monitoring. Metal casing, vandal-proof and resist violent destroy. 12VDC (Power Adapter Not included. If you have any questions about this product by DIYSecuritycameraworld, contact us by completing and submitting the form below. If you are looking for a specif part number, please include it with your message.